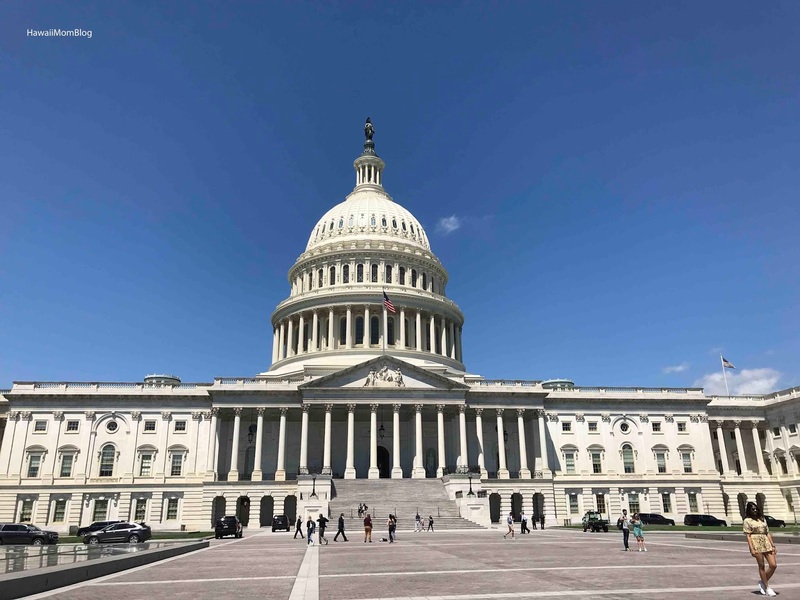 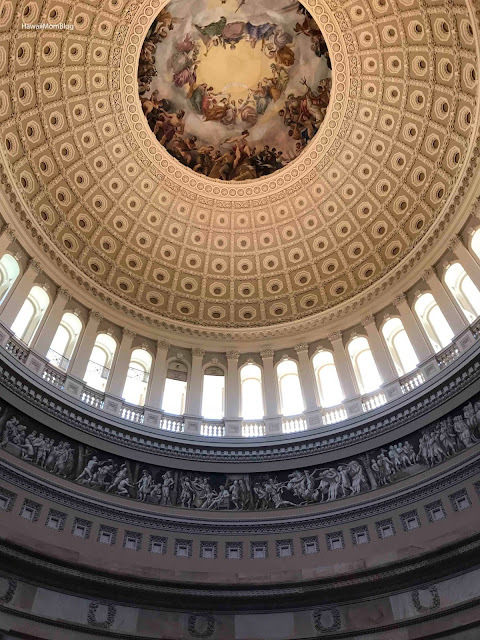 Tours are free, and you can book them in advance online, or go through your state's office of representatives or senators. 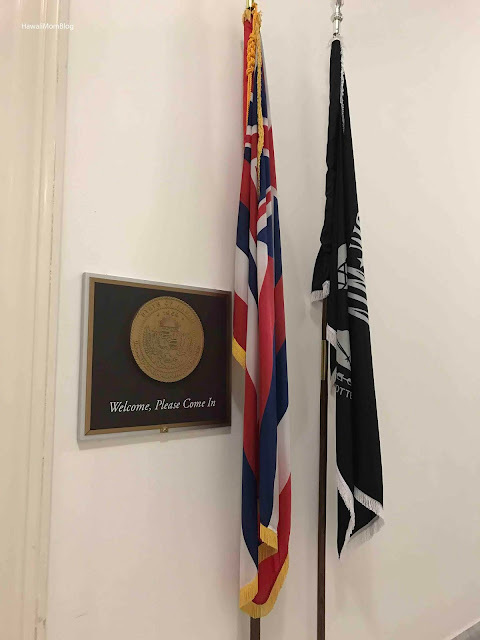 We went through the office of Colleen Hanabusa to schedule a tour. 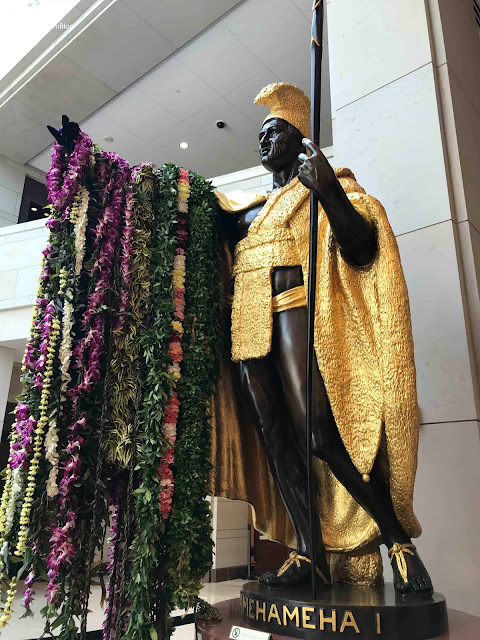 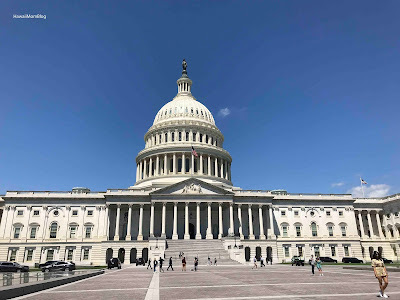 Once the tour is confirmed, an email is sent with instructions on where to check-in (we went to Colleen Hanabusa's office in the Cannon House Office Building), as well as prohibited items. 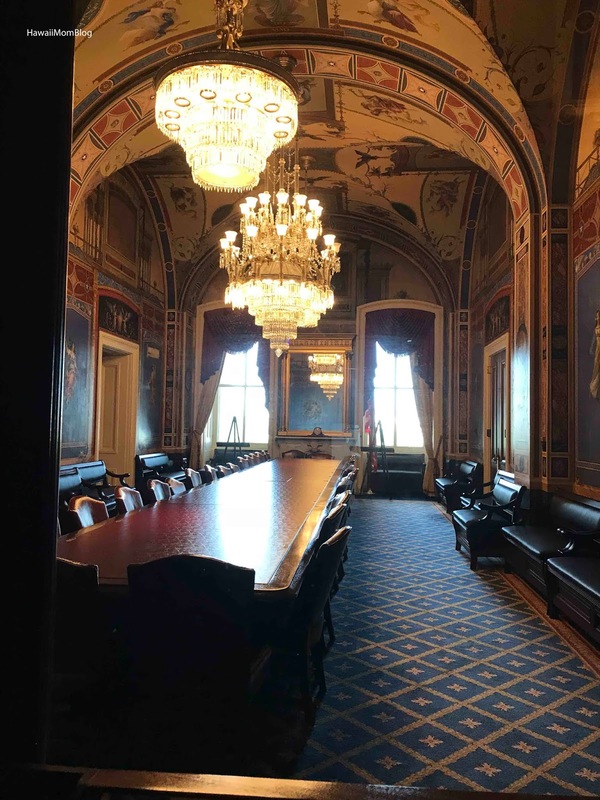 Basically, you can't bring any food, beverages, large bags, and items that may be deemed dangerous. Our guide was intern David Kang, who had just started a few weeks prior. His knowledge was quite impressive (he said it took just days to memorize everything). From the office he led us through the tunnel system to the Visitor Center. 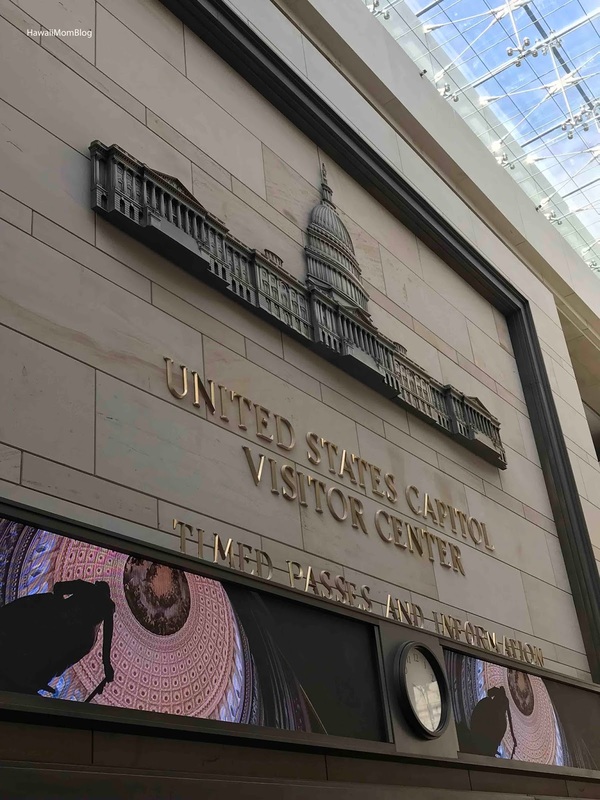 After getting our tour passes at the United States Capitol Visitor Center, we watched a 13-minute orientation film. 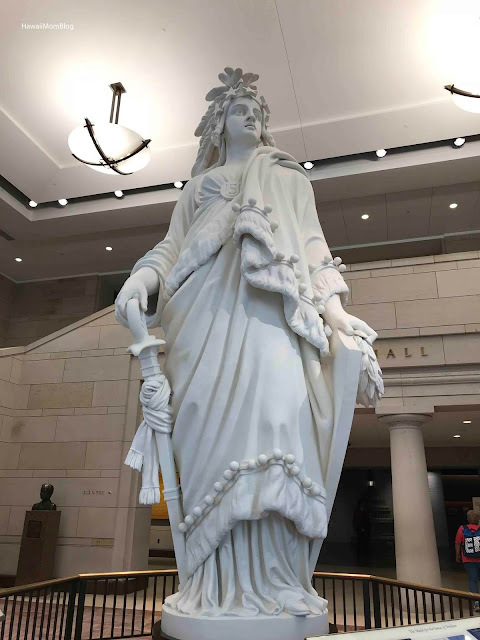 We then toured the Capitol, where there is just so much to see! 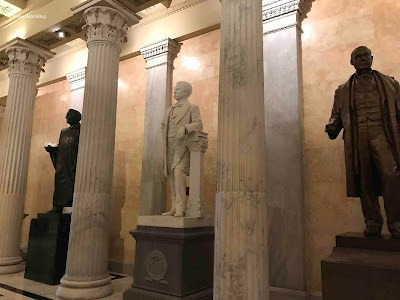 Throughout the Capitol we saw many, many statues in the National Statuary Hall Collection, including various statues representing each state. 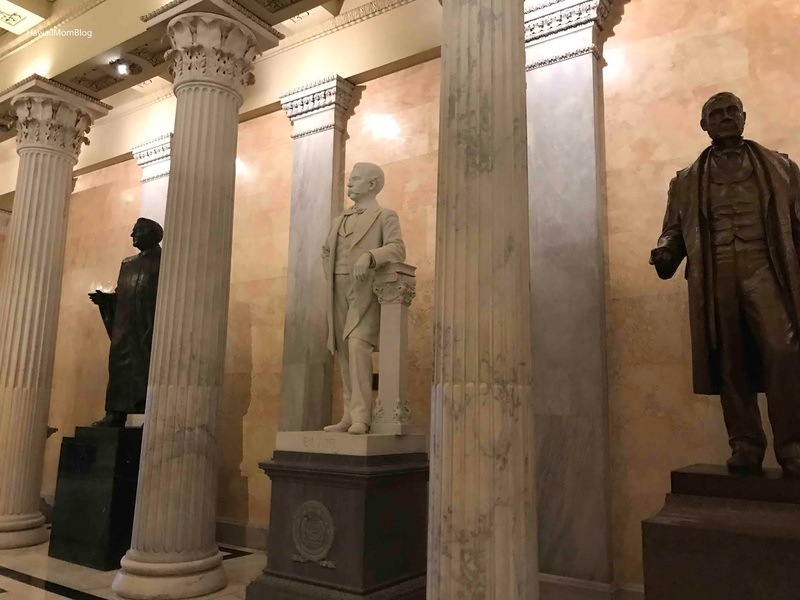 Each state could choose statues of two notable people. 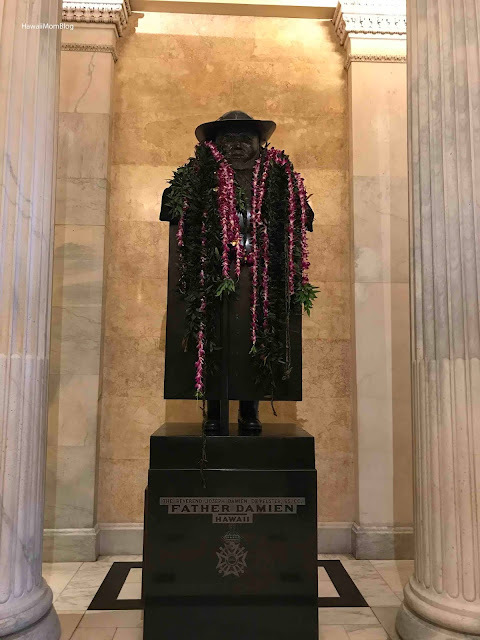 To represent Hawaii was King Kamehameha I and Father Damien. 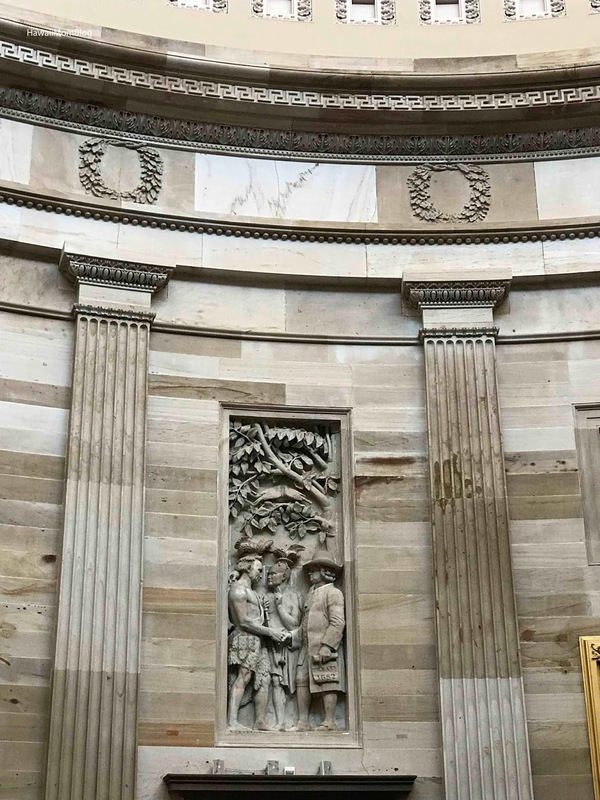 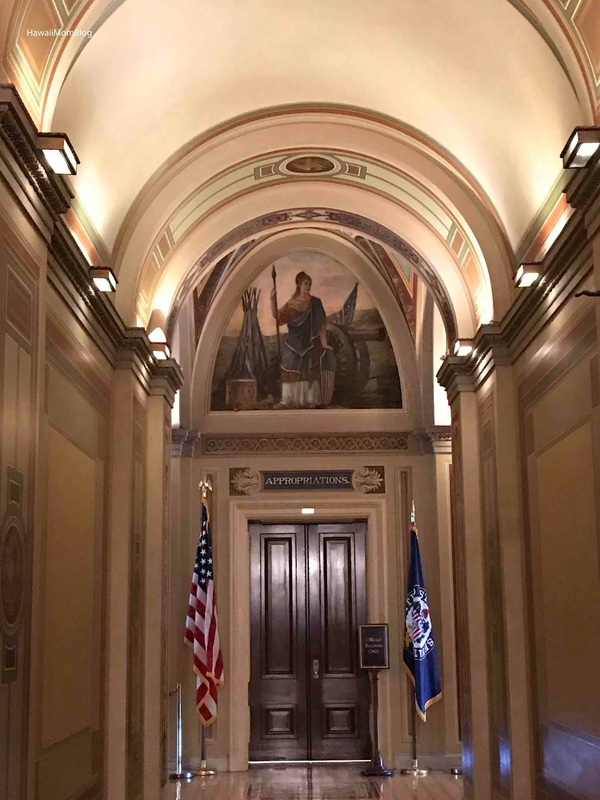 The architecture and artwork throughout the US Capitol is simply amazing. 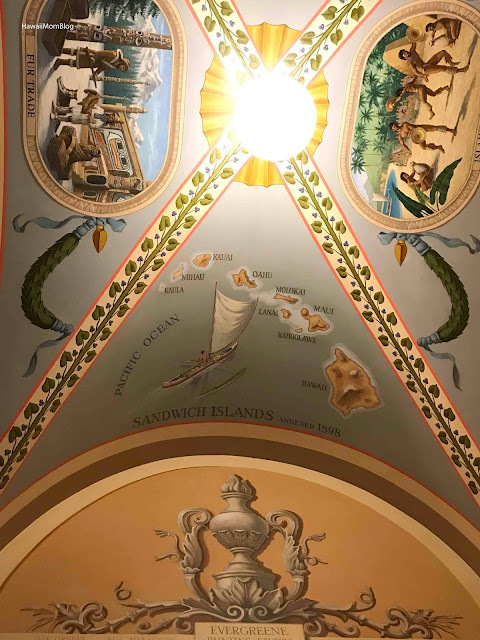 Just about every where you look are beautiful murals, stunning architectural details, and ornate decor. 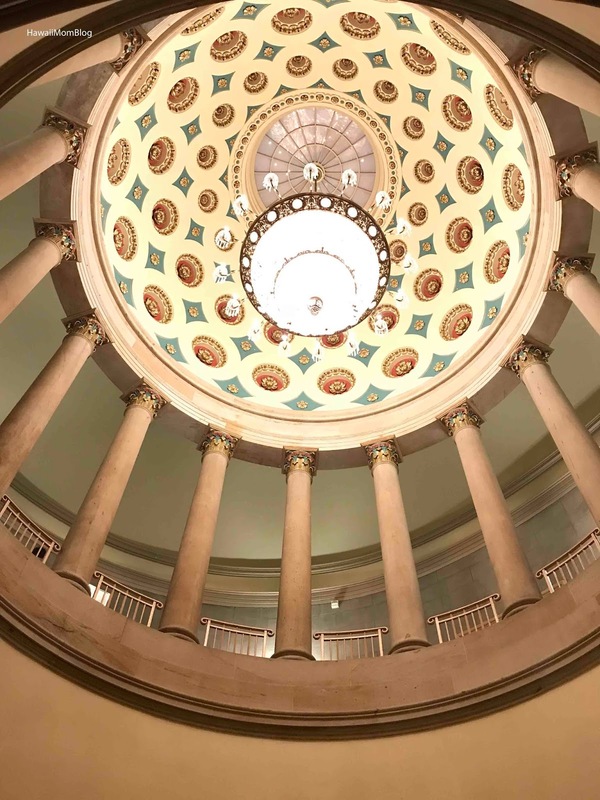 We saw the beautiful Capitol Dome, and a Rotunda full of astounding works of art. 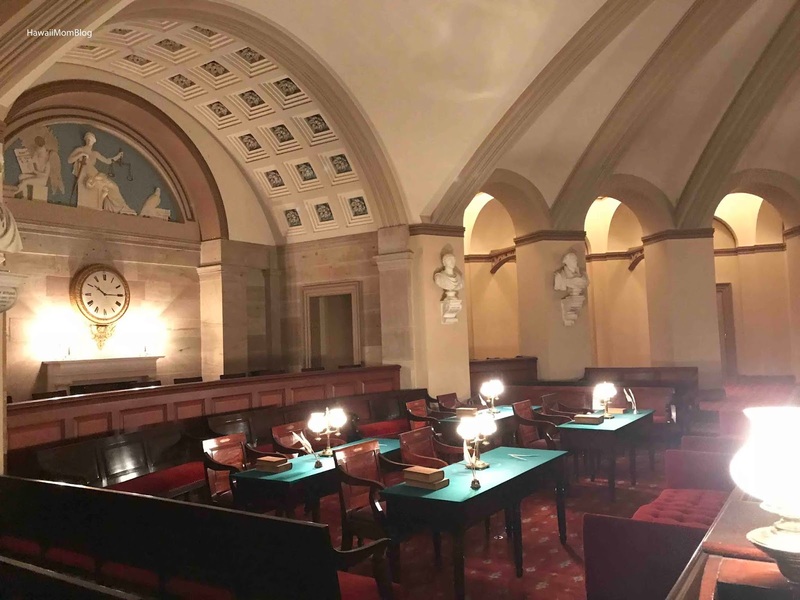 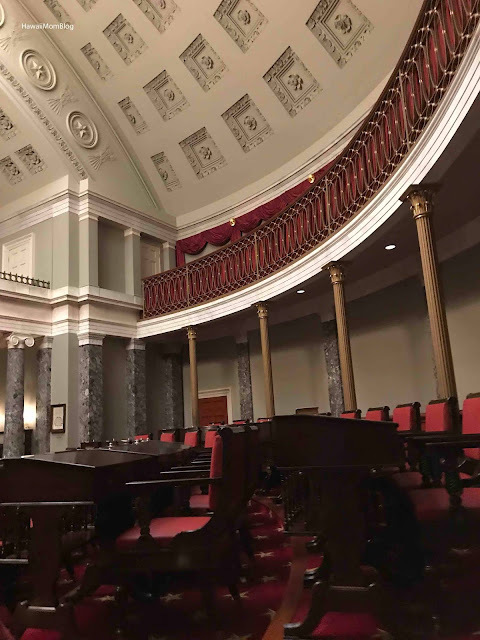 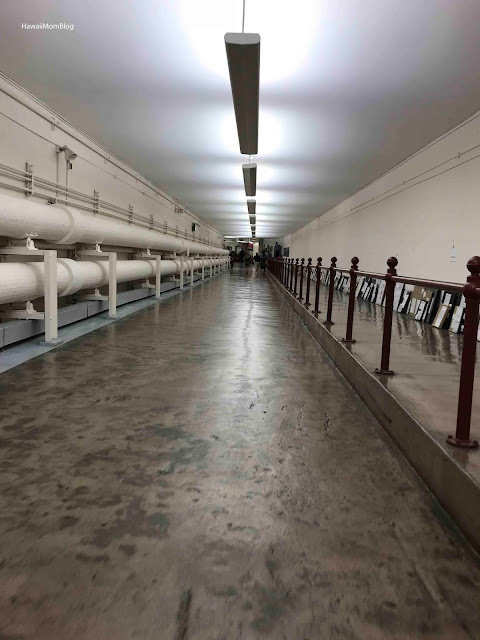 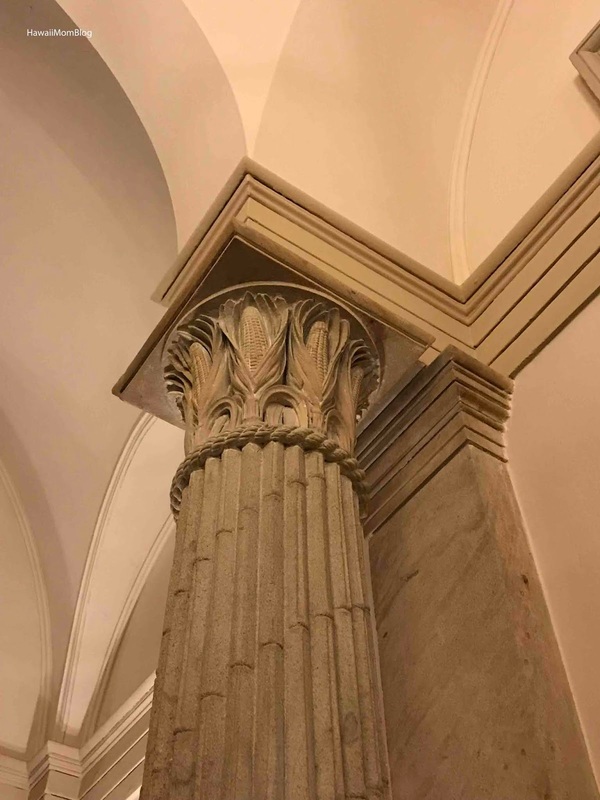 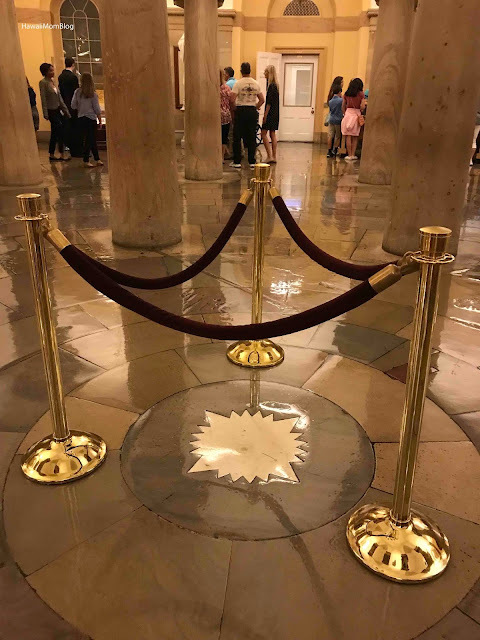 We also saw several rooms throughout the US Capitol, such as the Old Supreme Court Chamber, Old Senate Chamber, and the Crypt, where a star denotes the point from which the streets in Washington are laid out and numbered. 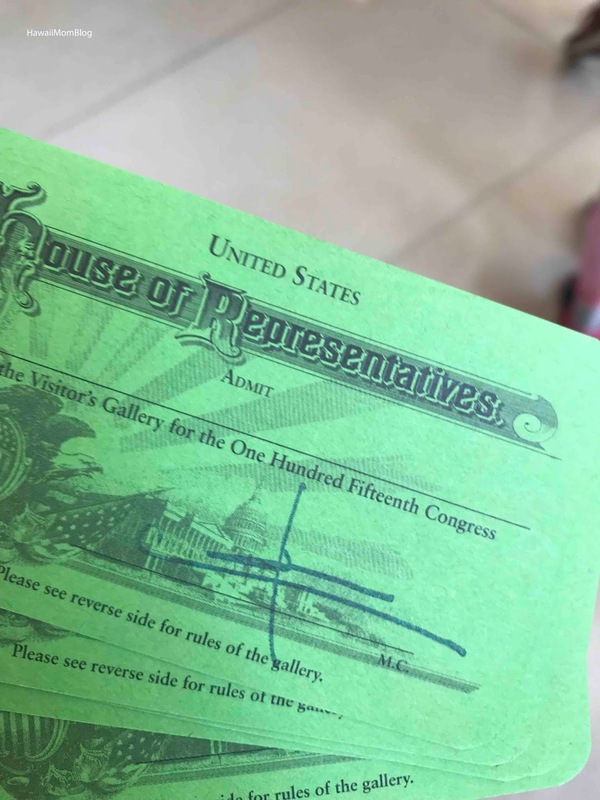 At the end of the tour we received House of Representatives and Senate gallery passes. 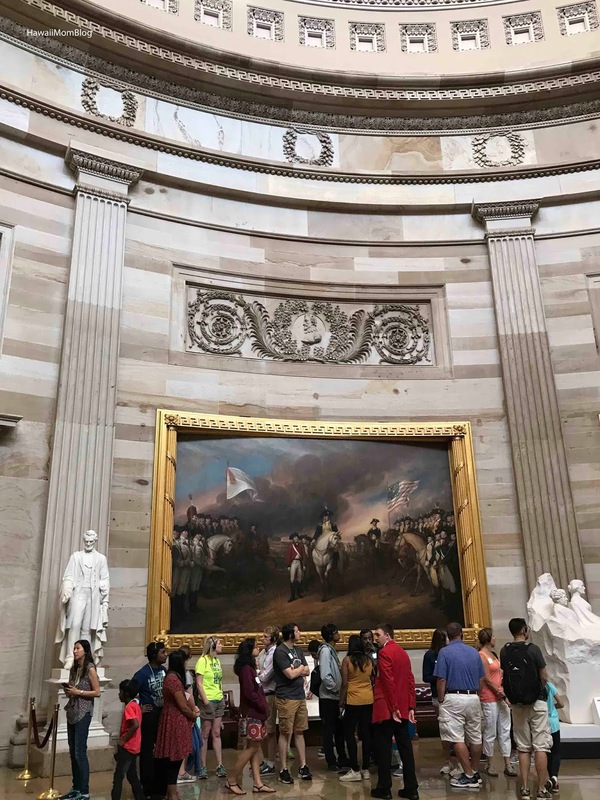 There were thousands of people touring the US Capitol that day, and it was nice to have a knowledgeable, friendly guide to take us around and show us points of interest. 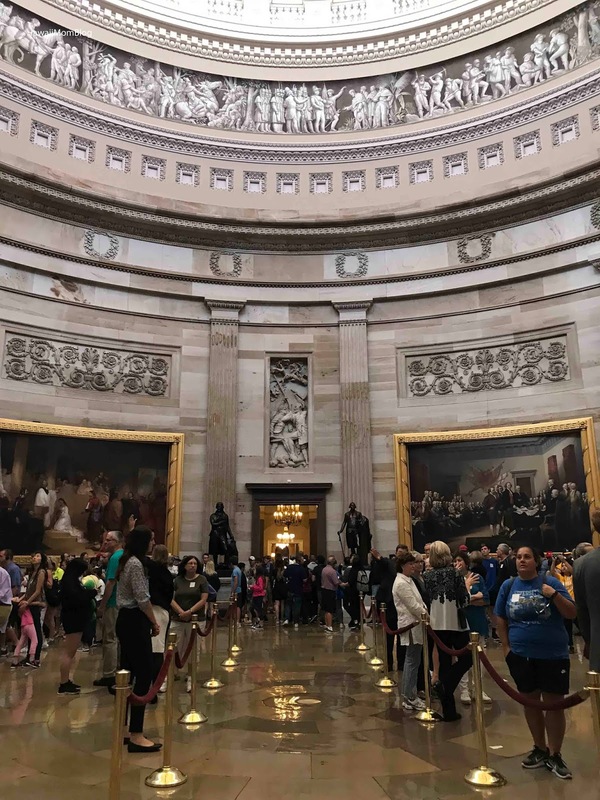 The entire tour lasted about 90 minutes. David was a fantastic guide, and I found the tour to be very informative and educational. My kids did get antsy towards the end, but it is definitely a tour that they will always remember.